If your favourite part about getting a hot bowl of ramen is the seasoned egg, you're going to love these. You'll love how easy they are to make even more. 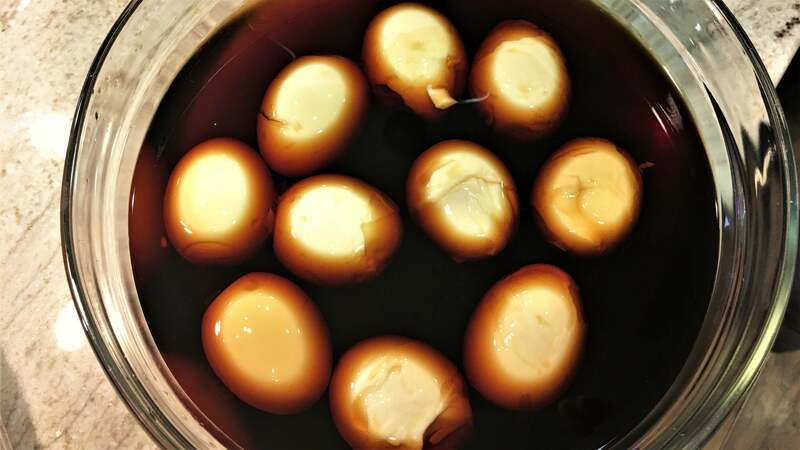 Seasoned eggs — ajitsuke tamago or shoyu tamago — are soft boiled eggs that soak in a marinade until they become super flavorful. The saltiness of soy sauce mixes with the custardy yolk of the soft boiled egg to make for one of my favourite snacks. This version is a twist on the classic recipe using some Chinese tea for an extra layer of flavour. First, you need to soft boil some eggs. Yes, soft boiled. You can hard boil them if you're a weirdo, I guess. Don't worry if your eggs don't look perfect. More grooves and cracks means more spots to soak up flavour. Follow our guide on how to make perfectly peel-able eggs here. Instead of a seven-minute boil time, however, try around six minutes. While they cook, mix the soy sauce, sugar, mirin and star anise in a big bowl. Then steep the Oolong tea in the hot water. Once the eggs are peeled, dump the tea into the marinade and stir. Then toss the eggs in the bowl with everything else. Cover the bowl, stick it in the fridge, and let them sit for at least four hours so the eggs can soak up all that goodness. Even better if you can let them soak overnight. And that's it! They're ready to eat. Slice them in half and serve with a bowl of ramen. Or just eat them as is. That's what I do. 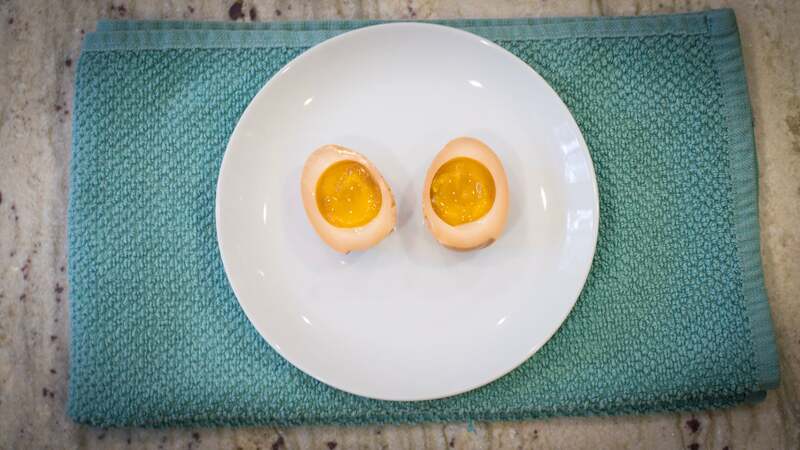 You'll never want to eat normal hard boiled eggs again.